Whether you prefer cedar, pine, spruce, or hinoki, these trees are ideal for landscaping because they will look amazing all year round. 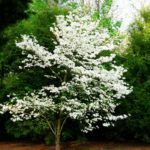 Their full branches serve perfectly as a privacy screen, and their blue-green coloring can provide a spectacular backdrop for the other blooms in your landscape design. Fall offers the dream environment for planting these beauties. Additionally, a fall planting means the evergreens will have the entire winter to take root and get acclimated to their new home. That being said, you will want to plant trees in the fall because they will be able to withstand the winter better than a sapling. This tree isn’t referred to as the most picturesque native tree in the U.S.A. for no reason. Its flowering horizontal branches steal the scene in any landscape design, and the color changing that takes place in the leaves is just downright mesmerizing. They may be known for their pink and white blooms in the spring, but it’s the exquisite purple-red tones that emerge in the fall that really make dogwoods stand out. Better yet, they are fairly low-maintenance and require little-to-no pruning. There is no better way to add a pop of fall color to your landscape design than with mums. Their tight blooms ensure amazing coverage, and their vast color options can make any Connecticut landscape beautiful. There are several ways to use the alluring blooms of the mum to make your landscaping come alive. If you want to excite your yard with a splash of color, stick with one or two hues and plant them in masses. Some excellent choices for fall are orange, yellow, bronze, and creamy white. If you have a strong evergreen showing in your landscape design, bright white mums can make quite the statement. Another enticing effect is to plant the mums in a way that they gradually change hues. For example, you could plant red mums first, followed by orange mums, and then finish it off with yellow mums. Oftentimes in landscape design, the small details make the biggest impact. That’s why we love integrating planters into our fall landscaping. 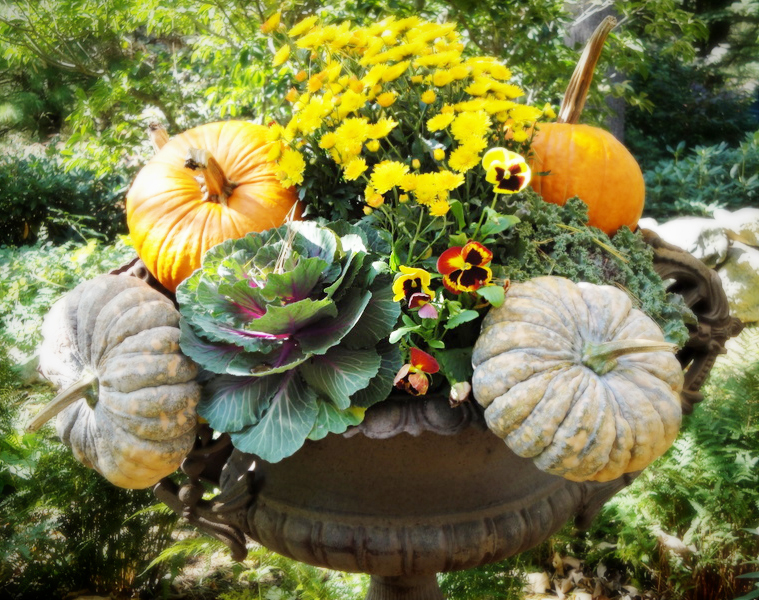 Choose from a variety of pumpkins, cabbages, kales, and squash, and create your own masterpiece that will wow onlookers. 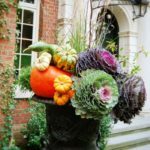 Make sure you opt for rich color schemes, like deep purple cabbage paired with green squash and deep orange pumpkins, to get the most dramatic effect. For help ensuring your landscape design will look gorgeous all through the year, contact Odd Job Landscaping. From the planning and design to the installation and maintenance, we will keep your landscaping at its best no matter what the season.